32 pages of coloring, puzzles, mazes and activities for children. 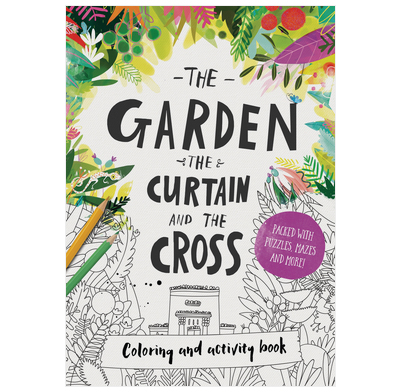 Use alongside The Garden, the Curtain & the Cross to discover the story of the whole Bible. Awesome present for parents, godchildren, and anyone who can hold a pencil/crayon/paintbrush! 8.3" x 11.7" x 0.1"
We love these books- clear biblical truths and fun activities. Great birthday presents for children/godchildren. Thank you for re-sending this lovely book, I reckon the delivery problem was at this end. The story entertains and points at the reality of punishment and reward in faith and in life. Bought these to give away at a church event and was not disappointed! Lovely activity book for primary age children. And unbelievably good value when bought it bulk - such a good quality book both in manufacture and content.